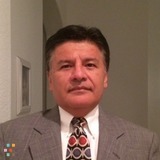 Experienced tutor with an Engineering and MBA degree, bilingual English/Spanish. Patient, methodical, structured. I teach Elementary Math, Algebra I, Pre-Algebra, Geometry, Reading and Spanish, I also teach English as a second language. You can be very confident you will obtain results. Be sure to contact me.